Nongnooch International Convention and Exhibition Center, or NICE, is located at the 200-hectare Nongnooch Botanical Gardens just outside Pattaya. The NICE truly blends business and leisure. It is a venue where business travelers can enjoy large-scale meeting halls equipped to the highest standards as well as a natural atmosphere in the botanical gardens. The center also benefits from its proximity to both Bangkok and U-Tapao Airport, which services Bangkok as well as other domestic and nearby international destinations. 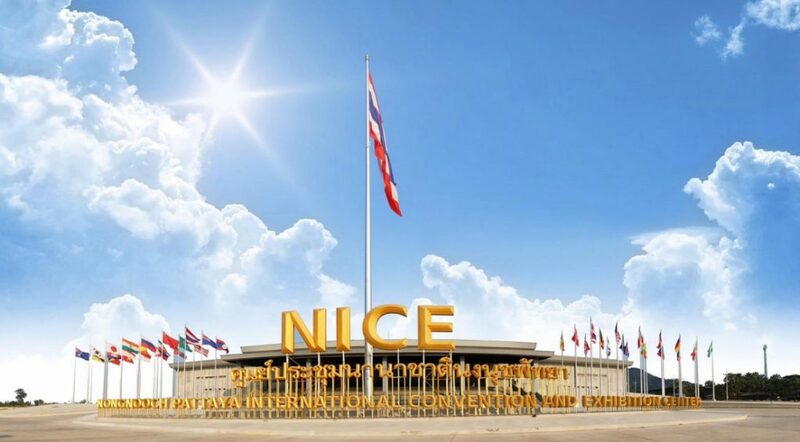 The NICE consists of one large 5,760-square-metre auditorium, which can be partitioned into three smaller halls depending on requirements and all area of foyer is 4,200-square-metre. These facilities can seat up to 12,000 delegates, which also be subdivided into smaller arrangements as necessary. Each of these rooms is equipped with the latest audio-visual technology, and high-speed Wi-Fi is provided, as well as security guards service the grounds all 24 hours.